Many people think of Mardi Gras as one big party that starts on "Fat Tuesday." Well, if you go down to New Orleans thinking that, you'll likely be late to the party. The Carnival season begins on January 6th, and depending on when Ash Wednesday falls, can last until the first of March. (All the celebrations end when Ash Wednesday begins). Mardi Gras 2018 has come and gone and it was a blast as usual. In our time in New Orleans, we took in 15 parades, reveled a bit on Bourbon Street, strolled along the river and took time to eat some beignets, crawfish and fresh gulf shrimp. Mardi Gras has become a tradition in our family as we take the 10 hour drive down to NOLA to take in this amazing event, visit with friends and introduce some folks to all that we love about the Big Easy. Many times when I talk to people about going to Mardi Gras and taking the kids, they think I'm out of my mind. For those folks, the images from Bourbon Street are what usually comes to mind, but Mardi Gras is actually an event that entire families come out to enjoy, especially the children. What happens on Bourbon Street usually stays on Bourbon Street or at least stays within a few blocks. At times, things in the middle of the French Quarter can get a little out of hand, so just avoid it at night during Carnival and on Mardi Gras day. When you come back from NOLA with lots of beads, people think you must have done something lewd to get them. However, there is little you have to do to get beads, cups, doubloons, and much much more. Just stake out your place on a parade route, throw your hands up in the air and if you want shout out "throw me something mister!" Parading begins on January 6th and picks up each weekend afterward with more and more parades. On the weekend before Mardi Gras there are more than two dozen parades in the New Orleans metro area. Each parade is put on by a krewe, which is a private club. You won't see corporate sponsorships or anything of the sorts. Bacchus and Endymion are the largest krewes with thousands of members each. Both are known for putting on elaborate parades that can last several hours. (Future posts will include much more about the different parades and what to expect from them including celebrity sightings). Since you're likely going to spend a lot of time on a parade route, you'll want to stock up on food since you might not have a lot of choices of places to eat along the parade route. New Orleans cuisine is unlike any other place. Grab some Zap's Spicy Cajun Crawtator Chips, a King Cake, and some mini-muffalettas to snack on as you wait for the parades to pass. 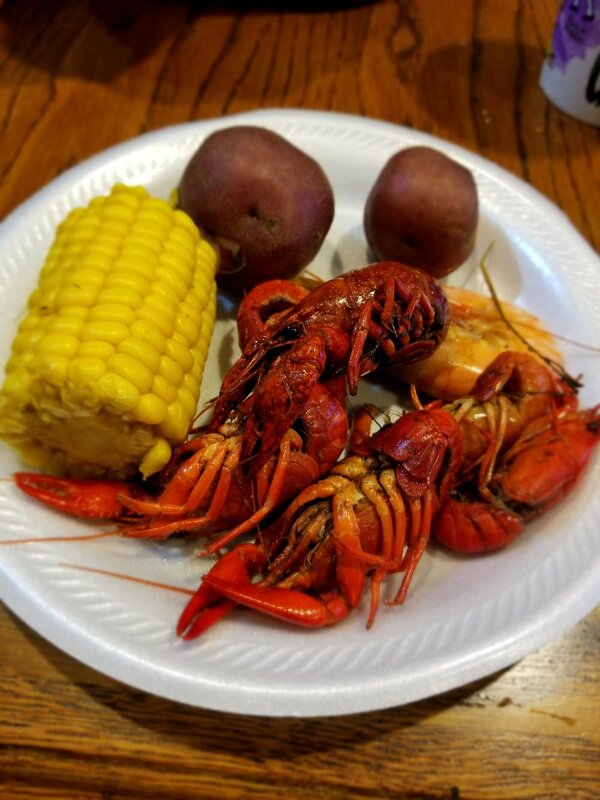 If it's in season, pick up a couple of pounds of crawfish, some fresh Gulf shrimp and stop for some Cafe du Monde beignets on the way to the parade route. Mardi Gras is something that should be on your bucket list, but if it's just not your thing, then come down some other time of the year. There's almost always a festival going on and if not, the city is always alive with a festive spirit.